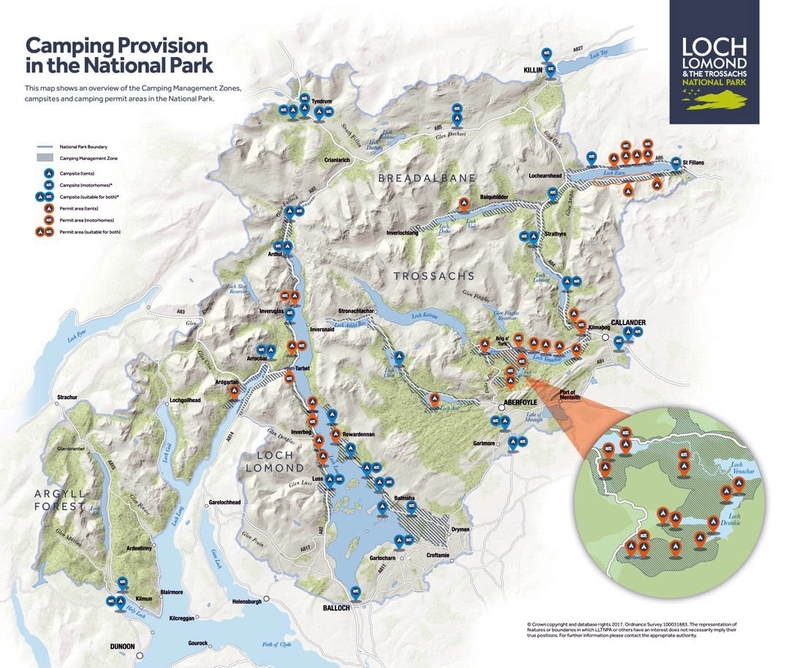 If you are visiting the Loch Lomond and The Trossachs National Park this summer and plan to stay overnight in a tent or motorhome, then you should familiarise yourself with the new camping byelaws, which runs from from March to September. New camping management zones have been created in certain areas to help keep the National Park beautiful for all to enjoy. This link to camping in the National Park will provide you with all the information you need to know in preparation for your trip. @VisitScotlandLyndsay, I think that the changes are definately a step in the right direction, although I would like to see this extended throughout scenic Scotland. What are your thoughts? Hi @fishypro. Yes this can only be a good thing, and I'm sure through time many more people will agree. Absolutely agree - I've seen some horrible mess created by people who should know better. How someone can seek out beautiful scenery then treat it like a rubbish tip is beyond me. Would love to see some pictures on this thread if anyone in the community has used these new facilities. A fair number of campers on Scottish camping and hillwalking groups seem to be less than happy with the campsites themselves. The idea is in the right place and hopefully the execution has been proportionate. Personally I`m not so sure. The litter louts and those that don`t respect their surroundings have to be stamped out but to be forced to use a campsite that you may not usually favour isn`t good. We`ll be back up in that area in September and will reserve judgement till then.